On Saturday April 28 Samadhi is honoured to present a preview of the new work ‘Narasimha’ during the Nrsimha Caturdasi festival at the beautiful Villa Vrindavan temple in Florence, Italy. The annual festival will also present stunning work of the renowned graffiti artist Nasimo (Kardami Kapila Das). Choreographer and dancer Vraja Sundari Keilman is excited to contribute with a powerful solo inspired by traditional storytelling as seen in Indian classical dance. The performance gives expression to the epic ancient Indian story of the legendary Narasimhadev and his pure devotee Prahlada. Narasimha, an avatar of Vishnu who incarnates in the form of part lion and part man, is known primarily as the ‘Great Protector’ who specifically defends and protects his devotees from evil. 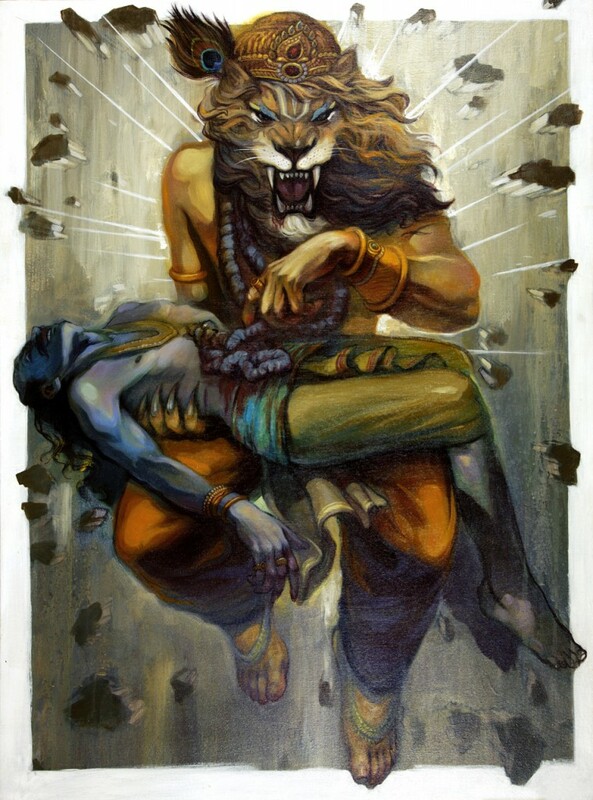 The most popular Narasimha story is the legend that protects the 5-year old Prahlada, and creatively destroys Prahlada’s demonic father and tyrant Hiranyakashipu. 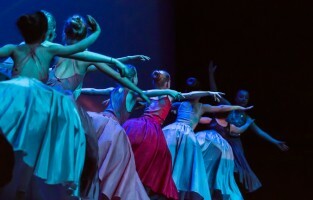 In the characteristic dance style of Samadhi consisting of contemporary ballet and yoga with influences of Indian classical dance and modern jazz movements, this legendary pastime is brought to the audience in an authentic and touching manner. The innovative choreography is carried out by narrations of Radhanath Swami, A.C. Bhaktivedanta Swami Prabhupada and Amala Bhakta Das, set on music tracks by Joep Beving, Anne Müller & Nils Frahm, Hiatus and Jahnavi Harrison. ‘Narasimha’ takes the viewer on a dynamic journey through this timeless story of fearlessness, faith, selflessness and true servitude. The full evening performance is scheduled to premiere in the seasons of 2019/20 in collaboration with diverse artists from the UK.